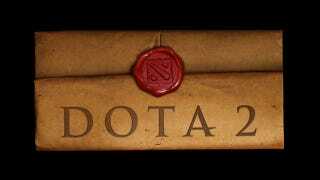 Yesterday, it was announced, and today, it is happening: Valve is ramping up the numbers of participants in the Dota 2 beta. If you took part in the survey, go check your email and then, more importantly, check your spam folder. If there's nothing in there, unlucky! If there's something in there, congratulations, you and two friends are now part of the beta. While we're on the subject of Dota and betas, I'd like to point something out: I don't work for Valve. I work for Kotaku. I don't send out the invites. I just pass the news onto you. So don't send me emails like these people did! I accidentally made a mistake(I put that i played with 108 heroes instead of 104, because last article i read about dota said dota has 108 heroes and i have automatically put 108 instead of 104) while i was filling in the survey, so i was wandering if there is any way to correct the mistake. Friend gives the game more than 5 years, and I'm dying to play dota 2.
please send me an invite. Can not stand to wait. Thank you! Hi i got the email regarding the dota 2 survey, but i cannot click the link.. seems like either hotmail or my steam is bugged somehow... damn i really want to try the beta. i am playing lol and hon all the time and i can asure you that i wuold more then gladly accept taking the survey!! I am a huge HUGE dota fan and have been a dota player ever since version 5.84c came out. I've been dying to play dota 2 and would just ask from you 2 beta keys. For me and a friend to play with.